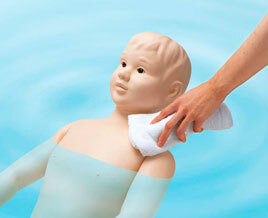 Seamless, bathing possible child manikin. As whole body is seamless, can put into hot water for bathing. With feeling of real child, it is optimal for practice of pediatric nursing. Seamless and realistic joint movement.